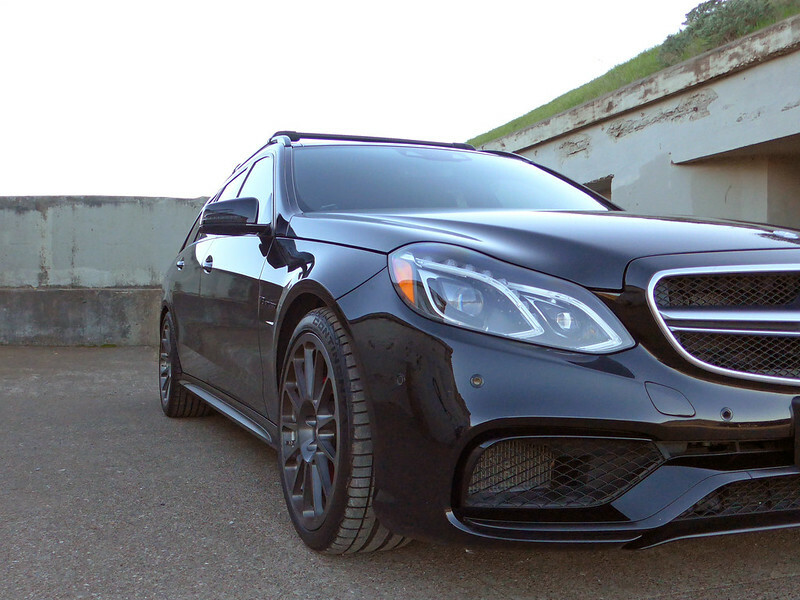 Wanted to introduce myself here as the proud new owner of a 2014 E63 Wagon. I found it back in September in Texas after a long search, since I had some very specific requirements pertaining to exterior/interior color, condition, spec, etc. The original owner put 7,000 miles on it and traded it for a Range Rover because it was "too fast." 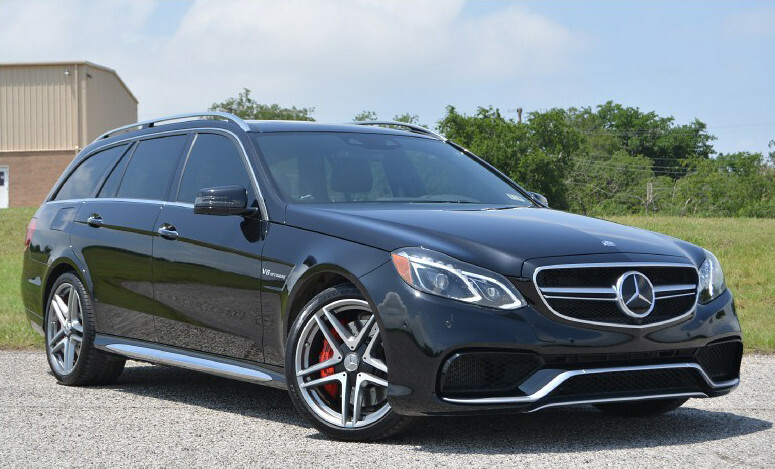 For as long as I can remember I have loved station wagons, which probably has to do with spending the better part of my childhood cruising around in the backseat of a Volvo 240 Wagon. Then at 20, I had the opportunity to briefly drive an M5 Touring (I'm originally from Germany), and was hooked on the concept of the fast wagon. To me, it really is the best of all worlds, and now that I'm a new dad, I figured it was time to get into something practical, utilitarian, and sensible. This is my first Mercedes-Benz, having been a VW/Audi customer since I first got my license. 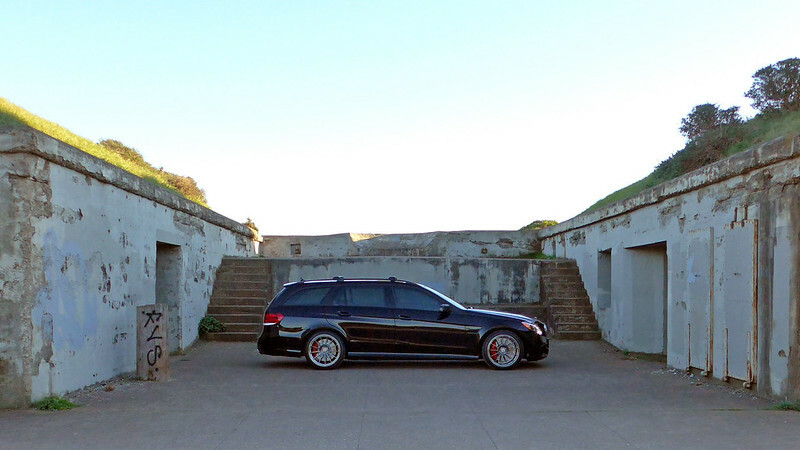 Since Audi refuses to bring their RS wagons to the US, I decided to make the jump and go for the holy grail of wagons, and I have to say I don't regret my decision for one second. 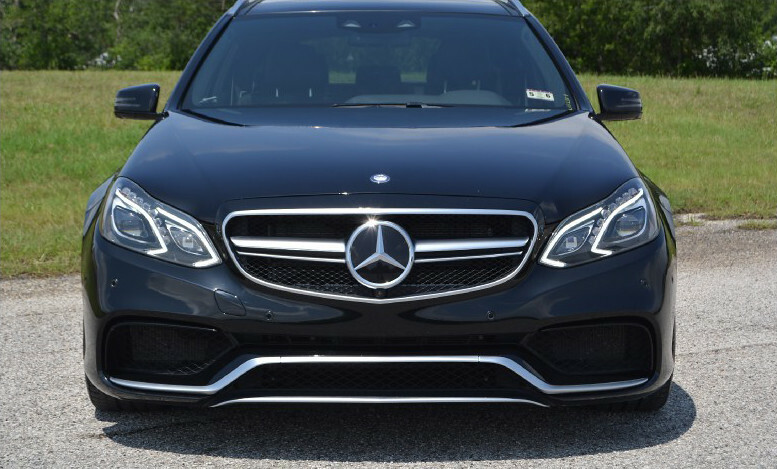 This car is truly in a league of its own, and the quality and fit/finish of the interior is much better compared to Audi (S4, S6, and RS4 are my frame of reference). It is my absolute dream car, and I literally smile every single time I get in it. 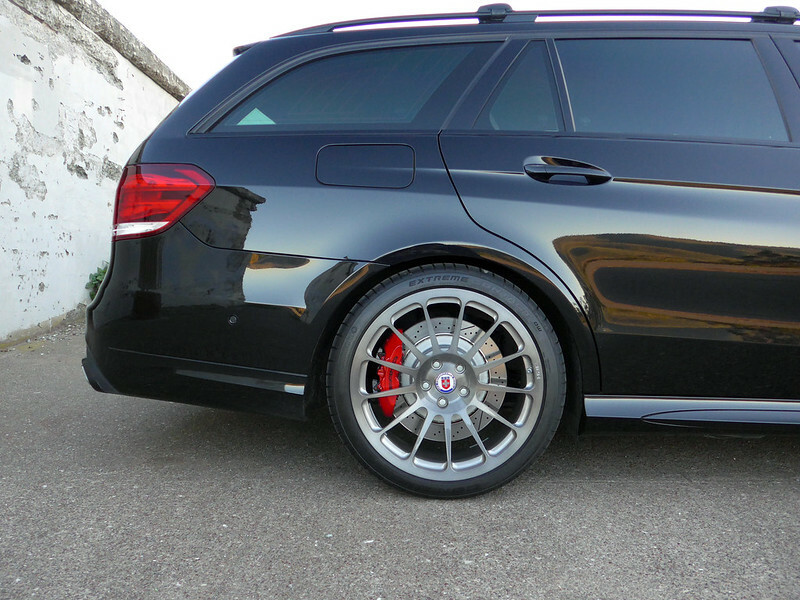 I am seriously considering a tune, and possibly some downpipes. I am vacillating pretty heavily between Renntech and Weistec, a conversation which by the looks of it, gets folks pretty heated (which is no different than in Audi land where people are at each other's throats over APR vs. Revo). Did you do the blackout trim yourself? No, I had it done at a shop called Vinyl Styles. They did a terrific job. 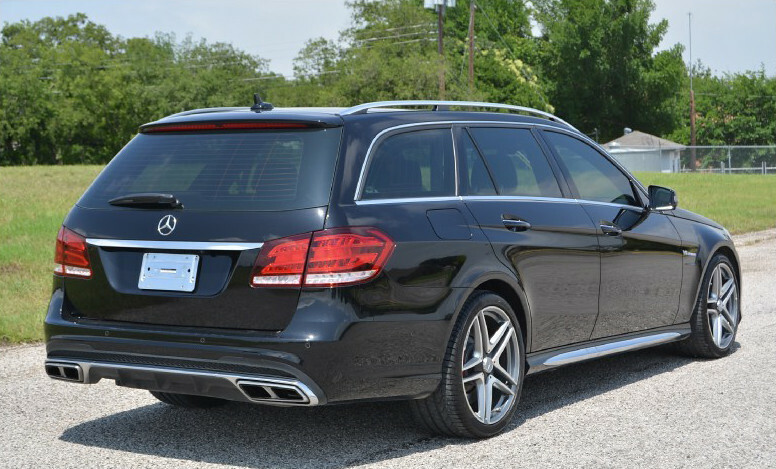 I also came from Audi and because Audi won't bring their RS wagons here, I ALSO ended up with a E63 wagon. That's funny... I'm also coming from an Audi (2004 S4). I'll be interested to see how the 4Matic compares to Quattro in the snow. Congrats on the great looking new ride. 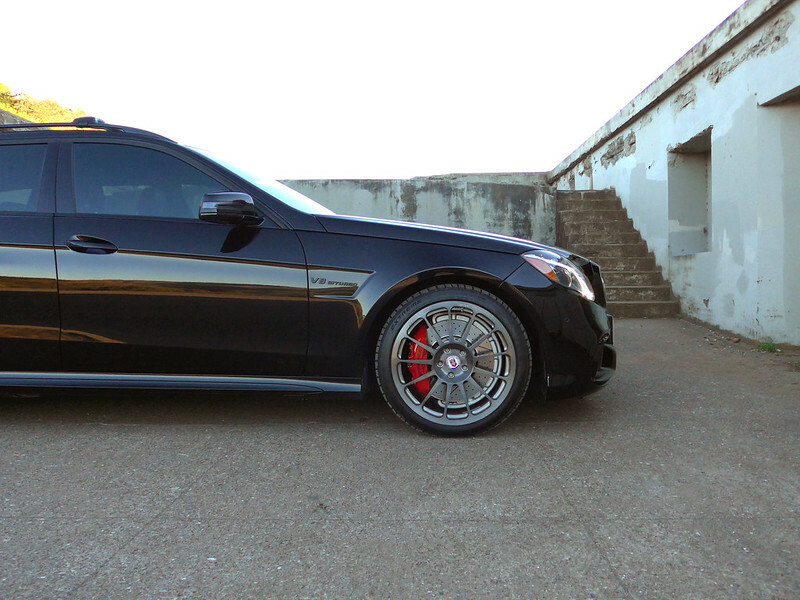 Really like the rims. Always glad to welcome another wagon owner! Tuning.. well search Vic55 and he has similar tastes about wheels and cars as you.. and he uses OE for most his rides. I have used them for last 2 MB cars. Take a drive to Hunting Beach to OE tuning shop.. stay in Newport Beach and drive the steroid boosted beast back to Bay Area. can you open the pano w/o interference from the cross bars? 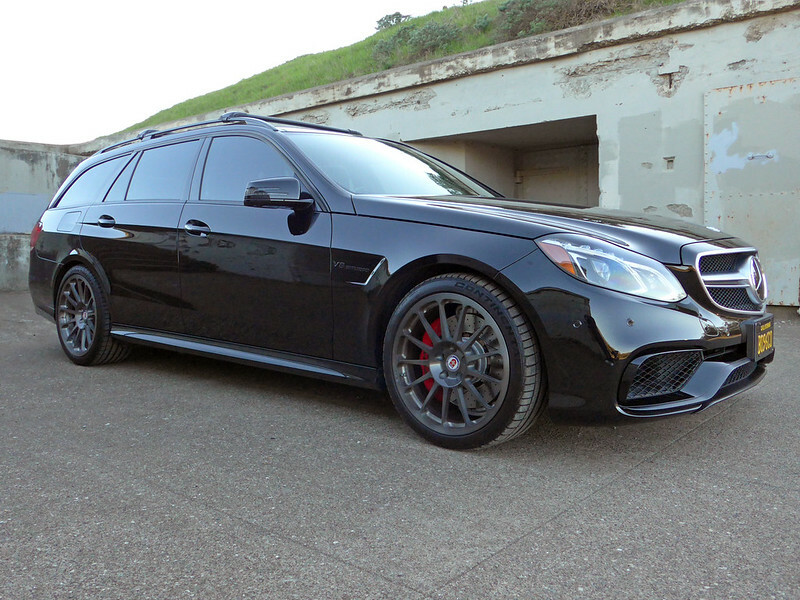 did the wagons come "debadged" was that an option? 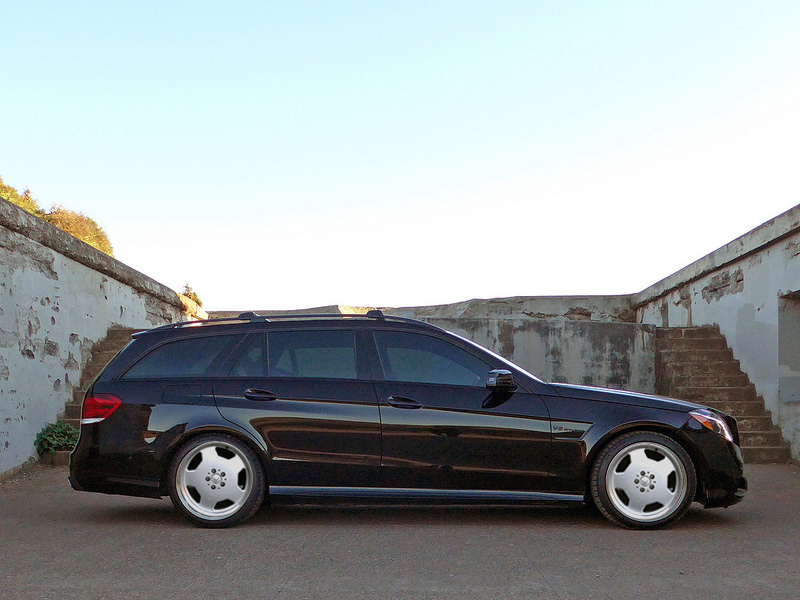 great to see another fellow wagon owner. Lovely! 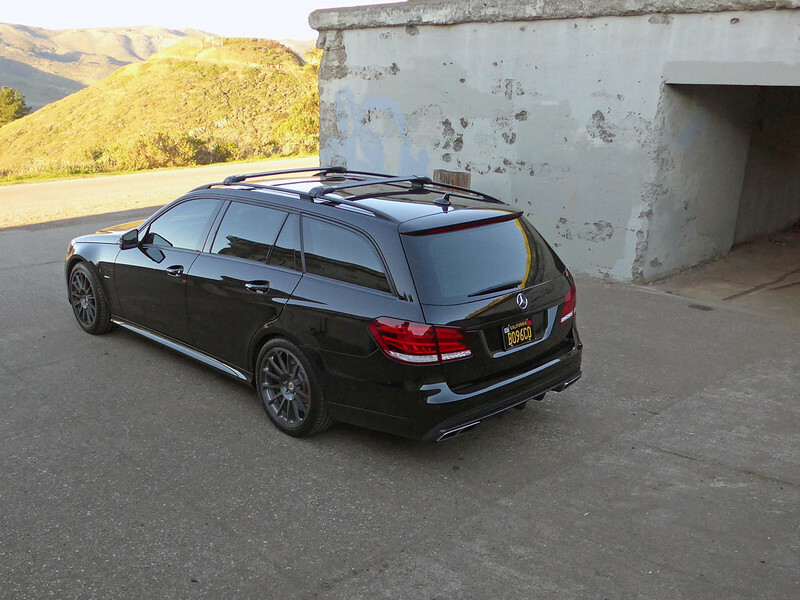 MB needs to start bringing over e-wagons without the mandatory pano. Thanks for the warm welcome, and the compliments on the wagon! That would be great! Which ones do you guys usually frequent? 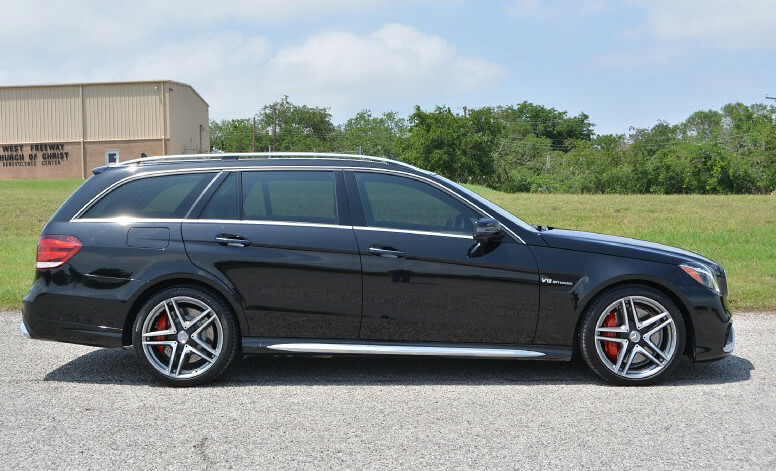 I also came from Audi and because Audi won't bring their RS wagons here, I ALSO ended up with a E63 wagon. I'm also located in the SF Bay Area. How cool! Would love to get together for a cruise sometime, if you're up for it. I'll be interested to see how the 4Matic compares to Quattro in the snow. 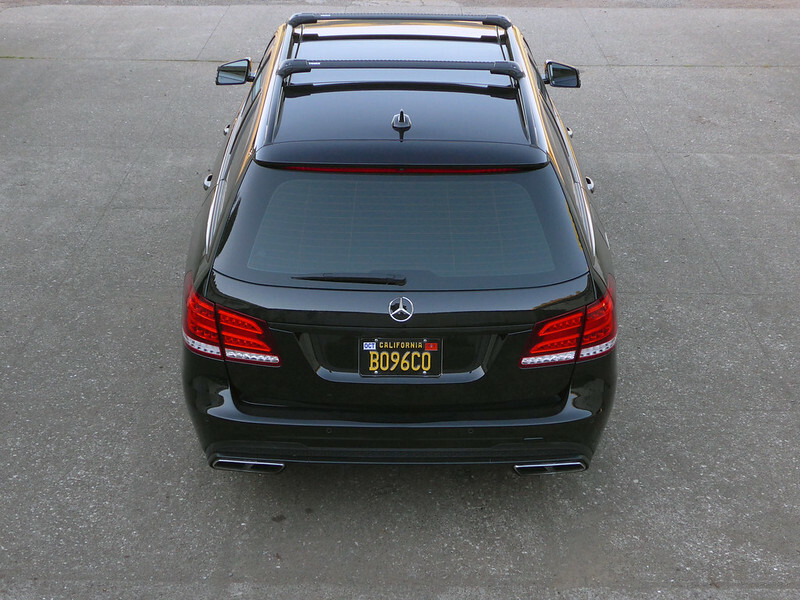 I took the Wonderbarge up to Tahoe in December, and the 4Matic performed really well. There was no snow on the main roads, but I did find some side roads and parking lots where I tested it a little bit. It felt composed and very confidence inspiring even with all that torque. I was not able to discern a noticeable difference between Quattro & 4Matic. As discussed, the wheels are yours if you want them. Totally agreed. I don't think I would buy one new -- you just have to be patient and look for a car that wasn't abused. The search took a long time for sure, but it was totally worth it. It's like new. Thanks for the advice -- I will check them out for sure, and weigh them against the other options. Are a lot of you guys tuned? I have a history of tuning all of my cars, but again, all within the context of the Audi/VW world, so naturally it's a bit of an unknown for me with MB. I can, yes. It took a lot of trial and error and resetting, but I have no contact on both tilt and full open. You'll notice that the front bars sit a little bit further to the front in order to make that happen. I bought it like this, yes. I don't know if the previous owner did it himself or ordered it this way. It would have been my first modification... I've done it on all my previous cars. It's super easy: all you need is to park the car in the sun for a couple of hours to soften the badge adhesive. Then take some dental floss and run it back and forth behind the badges until they separate. Remove the residue with some goo gone and a microfibre cloth, and give it a nice wax and polish, and voila. Anyone have an idea whether there is a vendor (other than usual suspects like eBay, etc.) who specializes in sourcing these? I'm looking for original AMG Monoblocks, not replica. Last edited by sjb; 05-08-2016 at 11:10 PM. Outstanding choice, if you can make it happen. Well... that escalated quickly. Found a mint set of staggered 18" Monoblock IIs. This should be interesting. Congrats on the new beast.